I’ve been loving all of the blue and white Chinoiserie porcelains you’ve been posting. But I have no blue in any of my rooms. The dining room is mostly red and the living room is neutrals, creams and white. And then we have a dark green library. I’d really like to incorporate some of these pieces but don’t know if it’ll look funny if there’s no other blue in any of these spaces. But I wrote back a quick note to say that I think that blue and white chinoiserie goes with EVERYTHING. And no, you do not have to have any blue in the room. So, I went hunting for many examples of Blue and White Chinoiserie in non-blue and white rooms. And some of them have already been featured here. Like this one from a post about one of my favorite designer/architects, Bobby McAlpine and all of his associates. Now, there is some dusty gray-blue here, but I wouldn’t call this a classic blue and white room. I always forget about rooms I have done for some reason. Maybe it’s like the “visitor from afar” sort of thing. And I’ve posted this image a number of times. But here it is. Green and white looks fab with blue and white. I had clipped this image out of a magazine long before we were using computers. Lovely vignette by Mary Douglas Drysdale. And I’ve posted this image before by the fabulous Ashley Whittaker. She’s on my top 20 list. But really more like the top 5 list. And likewise for this fabulous dining room/library Miles Redd designed for his mother. Miles gives us courage to try things we’re afraid to do. And no, it’s not drilling a hole in the table in order to plug in the lamps. And who can forget Tory Burch‘s stunning living room designed by the wonderfully talented Daniel Romualdez. It just wouldn’t be the same without those blue and white vases and I love the shallow vase made to go on a mantel. That reminds me. It’s not easy to figure out how big a vase you can get on the mantel. And that depends on the difference between the widest part and the base. But as long as the entire base can sit on the mantel, it’s okay if the widest part is hanging out a little bit. We can see that here in an image taken sorry, I forget where by Parker Kennedy Living; although that vase on the mantel looks like it’s hanging off a smidge. A gorgeous staged Chippendale-style China cabinet by Jennifer from the Pink Pagoda. She recently did this for The One Room Challenge™ held twice a year. Please check out Jennifer’s instagram that also links to her blog. Lovely traditional entry vignette by James Farmer. A soft living room by Meg Braff. She’s a designer that I can’t always recognize her work. She’s known for using a lot of saturated colors, but not this time. 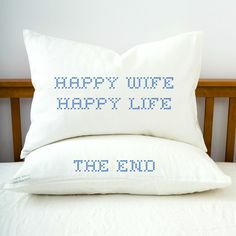 Image found on Habitually Chic. And who can forget what is now, Tory Burch‘s iconic and most pinned sun room ever, again designed by Daniel Romualdez. The lower left-hand corner gives a clue as to who this gorgeous design belongs to. It’s the fabulous room designed by Summer Thornton who’s definitely in my top ten but wasn’t on my radar when I wrote that series a few years ago. More plates against a saturated persimmon via Nancy’s Daily Dish. (cute) :] Ahhh… orange and dark blue. It’s one of the most gorgeous combos in the colorverse. In fact I devoted an entire post to the pairing of orange and dark blue a while back. And another previously posted beauty by the amazing Carolyne Rhoem. Here we can see a gorgeous example of taking a rug and using that as the inspo for the color palette. It all goes beautifully with the blue and white Chinoiserie porcelains! More lovely plates via Decor Design Review on Tumblr and not a lick of blue anywhere to be found in this sophisticated European-country room. I’ve always adored this scrubbed look. A beautiful Becki Griffin photo of a Holly Mathis Interior. And here’s Holly’s website. Lovely work. If I had to live my life as a dining room, this would be the one. Christy Ford’s dining room was featured a few years ago in Lonny. She is the owner of a wonderful antiques Emporium, And George in Charlottesville, Va.
She owns the store with her mom. I could never figure out how they came up with the name until I read that her dog is “George.” So cute. And of course, there’s the fabulous Furlow Gatewood whose rooms often feel like they are blue and white because he uses so much blue and white Chinoiserie, but mostly, his palette is creams, beiges, and gray. Mr. Gatewood’s kitchen. Ya know. I could’ve probably just shown his rooms and stopped right there. haha. The latest rendition (I think) of Mark Sikes glorious living room in the Hollywood Hills. Layers upon layers of delicious chantilly cream inside the flakiest puff pastry. Shhhh… Come a little closer because I have to share a little secret with you; but please don’t blab about it on Twitter, okay? Mark IS the one I would hire. But, I also need to kidnap his amazing home! More from Mark. Okay, we slipped in a little blue.But this is in no way a blue and white room. but I found it at Kathy Kuo Home as well. It’s brave to do a red sectional, but Mark pulls it off beautifully. The trick is lots and lots of white, the gold and black and the fresh blue and white. And notice something else? The walls are actually a pale, pale lavender. Whoa! Genius! 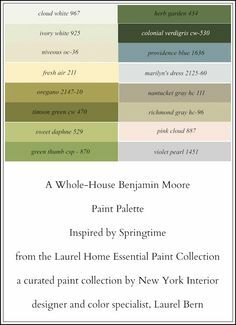 It is reminding me a lot of Benjamin Moore Violet Pearl – 1451, a color in the Laurel Home Essential Paint Collection. Speaking of red, a shot of John Rosselli’s bedroom. But doesn’t that mean it’s also Bunny Williams bedroom? No problem. I don’t ask questions. It’s none of my business. Maybe she hates red. That would explain it. Another shot of the John’s red bedroom. As a matter of fact, I’ve done at least two red bedrooms that I can think of off the top of my head. And both times, they turned out splendidly. Who knew? Red is a fabulous color for a bedroom! Oh and I just have to add this image. Of course, this one is elevated to high-style as it is sitting atop a priceless antique. Is that a VCR??? Maybe a DVD player. No matter. John and Bunny’s rooms are the epitome of timeless. The only give away is technology. And a pretty vignette from Bunny Williams‘ bedroom (in their Punta Cana home) with a light blue wall. Blue is definitely Bunny’s color! And Cleveland Green! I love the black and gold cabinet. Blue and white Chinoiserie is timeless, classic and goes with EVERYTHING! And here are some of my favorite blue and white Chinoiserie pieces. Most of these are different from the blue and white pieces you can find here. Well, it is Wednesday morning and I am going to the ballet today! I am seeing ABT do Swan Lake. I see it every year as it’s my favorite ballet. Today, the young soloist, Devon Teuscher is playing the part of Odette, the doomed swan queen. It’s good to take a break for a few hours! Thank you for including my image of Holly Mathis’s home in your blue and white round up. I so enjoyed reading the post ! Can someone send you a picture? I seriously need to send you a picture of my mother’s living room. She has gold walls with a lot of red painted furniture and she loves blue and white vases. She bought a red cabinet with glass doors and decided to put them in there. There really weren’t any other blue accents, but the room just came alive and looks fabulous. I think they are on her mantle, too, in front of gold walls. She is someone who should have been a decorator and missed her calling, I hope I can post it! Quick question…where can I get a sample of your essential paint guide? I am interested in buying but want to get an idea of what it actually looks like b/f I buy. Is it possible to see one page? Yes, the information is at the top of every page where you see rolodex and paint guides. (unless you’re on a phone, but it’s in the menu there.) There are several pages of both guides, + the table of contents. Great examples of blue and white chinoiserie porcelains fitting in so many rooms. I think the original question about that from a reader was in the comments of the other Summer Thornton post that you linked to above, where you found similar items to copy her room. Yes, I know, I know! I was waiting for someone to comment and so glad that you did! It’s because one can feel the HUMANITY in this room. Its soul. And that’s what is so incredibly appealing in all of his spaces. Sure the architecture is over-the-top-magnificent, but it’s the placement of objects that one just knows that each one is there for a reason and has a story behind it. Yes you’re right! Humanity! Human Scale! And maybe a dose of Humility? By that I mean positive, graciously quiet humility, the kind that makes us want to make a guest feel comfortable in our surroundings. That is sorely missing from our extroverted, me-first, loud world of today where the loudest most obnoxious reality show stars get all the attention. I’ve layered Oriental rugs over sea grass numerous times and have to tell you that it always looks FABULOUS! In fact, I wrote a post about it a while back. Not as in depth as the posts are now, but it’s something. Thank you for informing and entertaining! Your blog post is about the only thing I enjoy seeing in my inbox. You’ve even skewed my taste towards traditional, and I never thought I’d go there. So my Mom has great taste after all! I’ve noticed you mention the ballet a couple of times, and that thrills me because I mentioned it on that survey you sent out. You really read them, huh? So glad you got to see your favorite ballet! YES! I really do read them and man I was shocked at how many people have responded. I was just realizing that I didn’t include any contemporary/modern rooms, but yes, yes, Chinoiserie looks beautiful in these settings too. But of course, used more sparingly. Laurel, By ‘regular’ I mean homes with 8″ ceilings / smaller moldings and no special features like wonderful windows or doors. Thanks so much for another great post! I’ve been pinning like crazy on this one! I don’t want to appear demanding or ungrateful, but would it be possible to include a line under each photo example explaining why that particular combination works? It would be enormously helpful. I look at your examples and see that they look great but I don’t know why or how the designer did it. Is it something to do with the color shades, tones, etc. or how they relate to each other? When I try to do it they just look chaotic and unrelated. Hello Laurel, Oddly, blue-and-white is not so prevalent in Taiwan, although I wish you could see the pieces in the Palace Museum; all of them are to die for. And they are not even the high point of Chinese ceramics, which is robin’s-egg blue Ru ware. I have a number of miniature blue-and-white antique pieces which I am trying o figure out how best to display, but they would not be the kind of big statement pieces you have shown us above. I looked up Ru Ware. It’s more earthy and I guess it’s what most of us would call a Celadon color. Although yes, the original blue and white pieces are far older and from China and are still made there today. You know, you are so right! While China has this rep for being poor quality aka: “cheap crap from China” a lot of it is beautiful! ASAMOF, a couple years ago, I saw an exhibit of Chinese design through the ages and of course, there was tons of porcelain– some hundreds of years old and in perfect condition. But dang. Show me the difference between what it is today and what it was then. I did a post which nobody read. hahaha! Here it is. Just finished reading it! Correctly picked out the $7.66 Mil vase too, although that was sort of a guess. 🙂 Learned upon further research that the Chinese have been doing business with people around the world since at least the Medieval times–about 1,000 years. Lots of trade and lots of china from China! Ships’ cargos filled with it. Celadon was popular with the folks in Europe and the Middle East at that time, too. Love your blog. You put in the effort, for sure! Oooh, I lived in Wisconsin for ten years! We were in Stoughton, WI and lived on the Yahara River which was so beautiful, muskrats and canoes and everything! Kids loved it too. Visited Door County too and were so tourists. I am going to keep buying the blue and white porcelain when I see what I like and spread it around my house….I actually do have a white den with a very old blue sofa sleeper and that is where some of my blue and white pieces are residing. 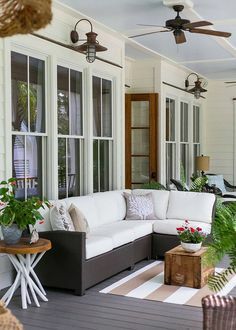 I am also adding a deep navy blue accent wall that has a very large window on it to add a peep of blue contrasting with the white blinds and the white, cream, and beige, paisley floor to ceiling curtains….a big risk for me! 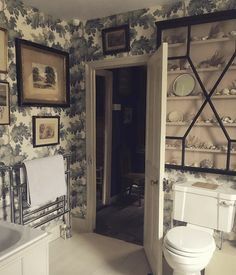 But I think it will look nice and not over the top as my house is not over the top…..thank you thank you thank you for the reassurance on the blue and white porcelain. I think that a lot of people are afraid to take risks. That’s why they do what everyone else is doing. Well, there’s a big difference between a high contrast floral wallpaper and a solid paint. Of course, there needs to be art, windows, doors, mirrors, tall furniture to break up the space. A big swath of navy with nothing on it will probably not work. I also love the mouldings on the dark blue wall in this post. Hi Laurel! Imagine how excited I was to receive this post in the mail this evening-I’ve always been in love with blue and white chinoiserie. All of your photos are just gorgeous. Beautiful post, thank you! So much color. You actually advised that I not paint my off white cabinets white a bit ago and I finally gave up on the white/gray/black scheme. I should have listed when you listed your fav colors because in trying to warm up the walls from cold gray I tried some that were not great. Speaking of ballet, Ballet White is not at all like ballet. And I think I am the only person who doesn’t like Revere pewter. Anyway, I was in benjamin moore and knew so much that they asked if i could work there so thanks for the knowledge. I cannot because it is 45 mins away in Green Bay where winter weather would be a problem. It’s funny, but you’re not the first person who’s had a paint store story having to do with the paint guide. Benjamin Moore, neither knows nor cares. Oh well. Yeah… it’s really not my cup of anything. I lived through some particularly harsh winters in the 70’s. Well, after suffering for several years after they “retired” the “classic colors” and then they brought them back, I found out that we could’ve gotten them all along!